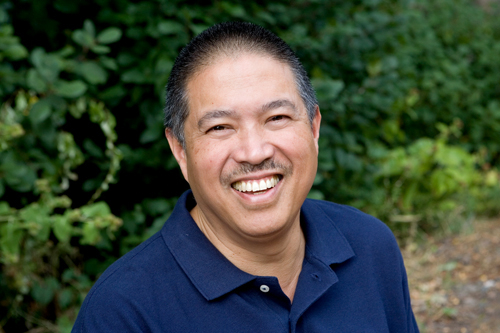 Richard Tung received his initial training in Massage Therapy from the Bancroft School of Massage Therapy in Worcester, Massachusetts, one of the oldest and most recognized schools of Swedish Massage in 1991. He is continually striving to improve his massage and bodywork skills and since graduating has completed hundreds of hours of continuing education. Richard established Richard Tung Massage/Muscle Therapy in 1992 and has gained extensive experience working with hundreds of clients for the past 18 years. His passion and goal is a working partnership with his clients to help them reduce their stress and pain and improve their quality of life. Richard became inspired to work in the massage field through his experience in caring for a terminally ill friend. During this period he witnessed the medical, emotional and spiritual benefits of massage therapy to both the patient and caregiver. His background also includes a Bachelor of Mechanical Engineering degree from the University of Massachusetts and ten years experience as a teacher/ counselor working with special needs clients. Richard's continuing education has led to certification in Neuromuscular Therapy by the International Academy of NeuroMuscular Therapies and certification in Myofascial Massage Therapy by Robert King Seminars. He has completed two thirds of his training for Orthopedic Massage with Whitney Lowe and will be certified in the fall of 2010. Other body work training includes Structural Integration by Kinesis (Tom Myers), Active Isolated Stretching, and Personal Training. Richard was voted best Massage Therapist in Weston/Wellesley in the Tab Reader's Choice Awards.